It’s hard to believe it’s been exactly 40 years since Hot Tuna released its self-titled debut album. What started as a side project of two of the members of San Francisco’s seminal band the Jefferson Airplane, Jorma Kaukonen and Jack Casady have become a beloved, treasured, American musical institution. There are probably not many locales that Hot Tuna plays that harbor more affection for, and boast more of a shared history with, the group than Long Island. The band first played on Long Island on March 25th, 1970 at Suffolk Community College. Joining Kaukonen and Casady on drums was Joey Covington, who would play with both Jefferson Airplane and Jefferson Starship, and fellow-Airplane member, singer Marty Balin. The band would return to Long Island twice that year, on May 1st with the same lineup at Stony Brook, at the athletic field, and then much later in the year on November 24th, again at Stony Brook, but this time in the gymnasium. Joining Casady and Kaukonen was violinist Papa John Creach, who would become an integral member of the group’s most popular early albums, and drummer Sammy Piazza. They would return to Stony Brook three times in 1973 and play once at CW Post that year. 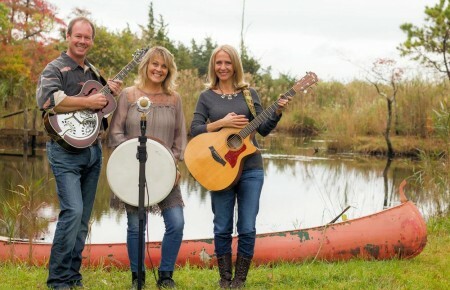 They would go on to play at Hofstra in 1975 and then debut at the Calderone Concert Hall on May 4th, 1975, and Island Music Center on October 18th, while continuing to play LI college shows. They would continue through 1977, playing countless shows on Long Island and throughout the tri-state area, including many unforgettable shows at Bill Graham’s legendary Fillmore East, before disbanding for five years. The band often performs as either electric Hot Tuna or acoustic Hot Tuna, although it sometimes does both in the same evening. 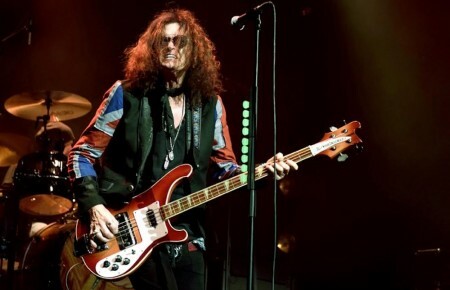 The band comes to the Theatre at Westbury on July 17th for an electric set. Joining Kaukonen and Casady will be Barry Mitterhoff and Skoota Warner. Also sitting in with the band will be G.E. Smith. Steve Earle will be opening the show. To mark the 40th anniversary of the band, the group will finally begin recording its first studio album since 1990’s Pair A Dice Found, for Red House Records, with Larry Campbell producing. Campbell has played with Bob Dylan and Phil Lesh, among others, and recently did wonders producing the last two solo comeback albums from Levon Helm. This new Hot Tuna album will be recorded at Helm’s studio in Woodstock. 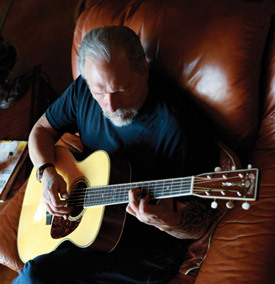 As if all this activity weren’t enough, the group’s guitarist and lead vocalist, Jorma Kaukonen, hot off his excellent recent solo album, River of Time (Red House), also runs the Fur Peace Ranch, a hands-on, nearly 200-acre, music learning center in Ohio that includes classes taught by Kaukonen, Casady and such music masters as Chris Hillman (The Byrds, The Flying Burrito Brothers, Manassas, Desert Rose Band), Bob Margolin (Muddy Waters), Oteil Burbridge (the Allman Brothers Band) and G.E. Smith. 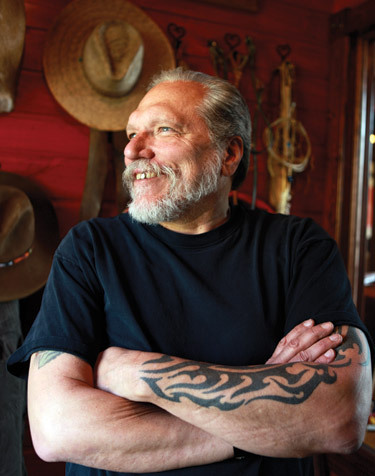 Amidst all of this activity, Kaukonen took time to speak to me while he was occupying the desk and chair in the office of his wife Vanessa who runs the Fur Peace Ranch. Kaukonen is a very easygoing man. He’s clearly very happy with where he is at this point in his life. He gets very excited talking about music and it’s this enthusiasm that makes him such a natural teacher. Adding to the fullness of his life is the latest addition to his family, a four-year-old daughter he and his wife adopted. Kaukonen also has a young son. Of course what makes Hot Tuna the band they are is the unique musical relationship Kaukonen and Casady have. While many think the two first teamed up in the mid-60s in San Francisco in Jefferson Airplane, they in fact were friends and bandmates as teenagers in Washington DC. When they were teenagers in Washington, while Kaukonen was into the blues, Casady was more into jazz. Casady’s older brother Charles, who Kaukonen knew before Jack, had a huge influence on him. “He’s the guy who turned me on to the blues of Muddy Waters, Howlin’ Wolf and Sonny Boy Williamson,” Kaukonen stated. Kaukonen said that his wife Vanessa is really the person who runs the ranch, which also is the base for an NPR radio show.